Werris Creek Speedway opened around 1924 for motorcycle racing. 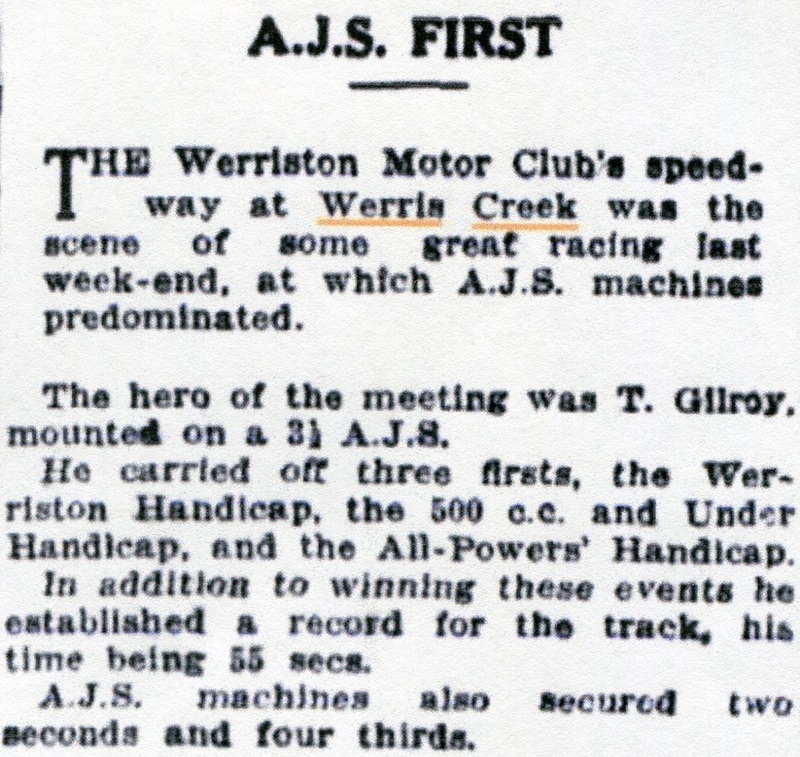 The speedway was run by the Werriston Speedway Club. It is believed that the track closed around 1927. 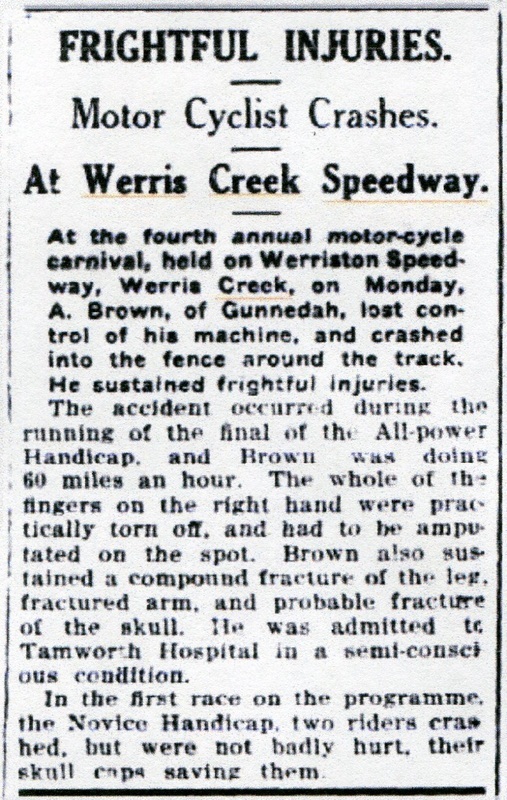 In a tragic accident on the 26th of September 1927 Alfred Brown from Gunnedah hit the fence and was severely injured-he lingered on for a while in Tamworth Hospital but passed away. Alfred Brown was aged twenty nine and left a wife and one child.